Don’t miss this Atlanta tradition as Santa and Mrs. Claus roll in the holidays! Starting at 12 noon, bring the kids of all ages to enjoy the activity village and enjoy festive holiday performances in Central Park throughout the day. From 1:00 pm – 4:00 pm, Santa will have a couple of his faithful reindeer on East District Street. Later in the evening, Electric Avenue will take the stage along with our hosts, PK and Denise from Power 96.1 as the party really gets started. 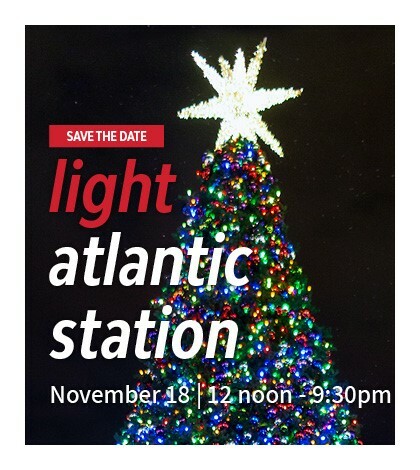 Gather the friends and family for Santa’s Parade through Atlantic Station beginning at 8:00 pm. Santa will then take center stage in Central Park to light the fifty foot Christmas tree at 8:30 pm. A full day of fun!